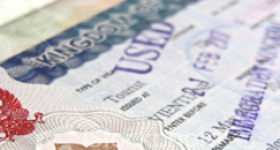 The Retirement Visa for Thailand requires that certain conditions are met. We will provide you with the basics however you need to speak to our immigration attorneys on staff for more details. In order to obtain an “O” Visa or retirement visa you need to be older than 50 years at the date of application for the retirement visa. Many have been turned down thinking that a few days before their 50th birthday would be acceptable however these applications have been turned down in the past. Thai Immigration has become very strict with regards to the age requirement. Even a day or two short will get the application turned down. The financial requirements are that you have at least 800,000 Baht in a Thai bank account or have an income of at least 65,000 Baht per month. 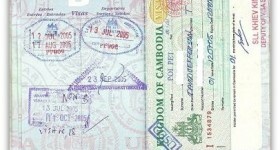 Thai immigration does however allow a combination of the two. If you have a pension your embassy has to provide a letter stating the income you receive from your pension as Immigration will only accept the letter as proof of income from a pension. Contact any of our immigration lawyers with regards to calculating what amounts in combination would be acceptable to immigration to extend you visa. We are told that should they wish to leave Thailand for a while that before they leave they should apply for a re-entry permit at any immigration office. Here is why! The re-entry permit in Thailand needs to be obtained before you leave Thailand is you have a 1 year retirement visa. If you do not have a re-entry permit and return to Thailand, immigration at the airport will only stamp you in for 30 days. 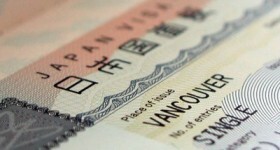 The retirement visa thus has become null and void. The re-entry permit allows you to continue on your visa once you return without affecting the validity of the visa.The problem with the retirement visa is that even if you decide to cross the border for even a few hours you invalidate your visa. The entire application process would then need to be started again. you would once again have to leave the country within 30 days ro obtain an A-O visa again which is valid for 90 days. 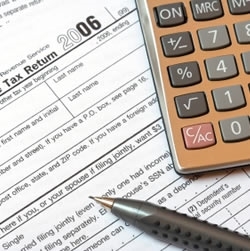 Then you have to prove income or deposit again much like you did it the first time and provide all the paperwork again. Best to ensure that you have a re-entry permit stamped into your passport before you leave. Don’t depend on having it done at the airport on the way out as that is a tricky situation. Obtain your re-entry permit at any immigration office well in advance of your flight. Its takes 2-3 hours to have it done and they do allow multiple entry permits so you only need to do it once each year if you plan to travel outside of Thailand alot. Speak to any of our immigration attorneys if you are unsure if you require a re-entry permit.